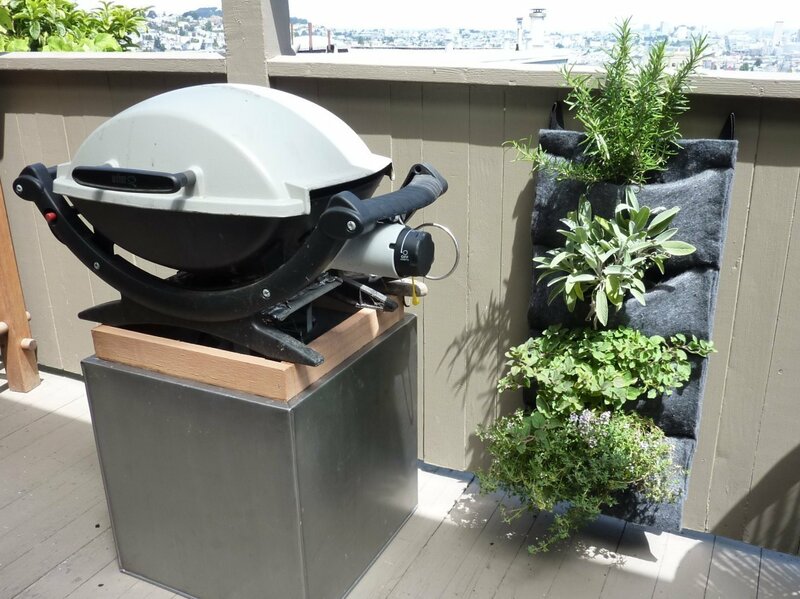 It’s wonderful to have the convenience of fresh herbs on my patio, especially by the grill. They like to be watered every 3 days or so and I use a little MaxSea fertilizer in the watering can. MaxSea is a natural seaweed based fertilizer that is gentle, easy to use, and very inexpensive, and you only need just a little. The herbs are in root wrappers so I can change them out when I need to. You get used to the watering so it doesn’t drip off the bottom too much. Mostly the felt absorbs the water they need and herbs tend to like dryer soil. Growing here from top to bottom: Rosemarry, Sage, Oregeno, and Thyme.